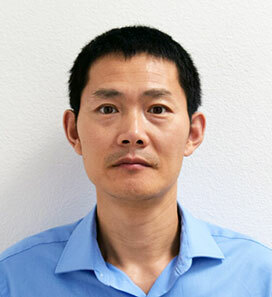 Hongqiao Zhang, MD, PhD, researches the regulation of antioxidant and detoxifying genes in response to oxidative stress. Nrf2 is a transcription factor that regulates the basal and adaptive induction of a series of antioxidant and detoxifying genes. Nrf2 activity declines with aging and subsequently leads to decreased induction of antioxidant genes and impaired adaptive response to oxidative stress in the elderly. The Zhang lab is particularly interested in elucidating the underlying mechanism of how Nrf2 signaling declines with aging and its involvement in age-related diseases. Currently his lab works on two projects, one is to investigate the effect of aging on the activation of Nrf2 signaling in response to ambient nanoparticle exposure, and another is to study the different inflammatory response of young and old to ambient nanoparticles. The final goal is to provide insight of how the elderly is more susceptible to air pollutions and other environmental toxicants.